A beautiful classic merino yarn with a modern colour range. As featured in the Shepherd Baby Wool 4 ply book. Baby Wool Merino 4 ply There are 33 products. $6.80	Delivery 2-3 working days. A beautiful classic merino yarn with an extensive and modern colour range. 100% Merino Wool. Made in Australia 165m/50g 3 mm needles Tension: 28 stitches/36 rows to 10cm Hand wash or gentle warm machine wash.
11 styles for Baby 0 to 12 months. 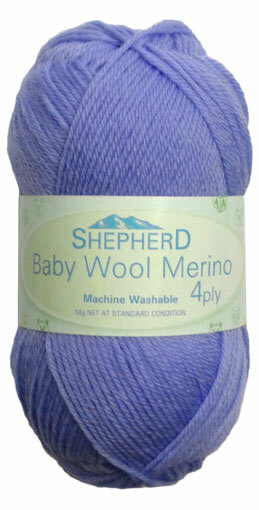 5 knitted designs in Shepherd Baby Wool Merino 4 ply Australian fine merino wool. From newborn to 2 years.